Find My Workspace lists over 95% of the business centres market in Preston (Lancashire). Simply click Request Quote to check pricing for one office, or Add to Basket for multiple offices. This centre boasts high-quality, affordable office space and business incubation, giving new companies and growing businesses a professional base from which to operate. Offering outstanding facilities. 1 x 18.27 m², 1 x 20.40m², 1 x 40.80m². There are so many benefits to working with this centre. This is a two-time winner of the prestigious Queen’s Award for Enterprise in Sustainable Development and the Social Welfare Charity work, will enhance your Corporate Social Responsibility agenda. This business centre is brand new to the market from May 2016; Luxury serviced offices on Preston Docklands now ready for there first tenants. Business rates are included with the serviced offices, this is something you will appreciate as this is often the second biggest cost when renting an office. Regarding telephone installation and line rental, this tends to vary from serviced provider to provider some charge for the installation and setup of the handset etc while others include this in the rental. The centre will charge for the cost of calls, although this is normally more economical than going direct to BT as the landlord uses his book buying capacity and passes a portion of this on to our tenants. The line rental and basic supply is included within the serviced offices although this will be subject to fair use policy. This centre provides five different sized offices to choose from, accommodating in each from one to 12 workstations. This professionally managed centre is composed of two floors of office space and is situated in a modern building of part brick and part metal construction. 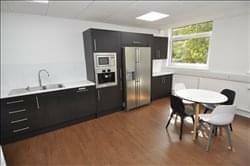 Units are private and self contained, yet also come with a communal entrance and kitchen facilities, fostering a sense of community within the centre. The centre comes with dedicated meeting room facilities, available to all tenants on a booking system. Offices can comes either furnished or unfurnished, depending on your own preference, and there are varying sizes available. With an all-inclusive rate that incorporates power, lighting, heating, cleaning and building insurance, you know that everything is falls in one monthly payment. The centre also boasts a vast array of amenities, an intercom entry system, fast internet, VOIP telephone system, 24/7 access and a high spec fit out with suspended ceilings. 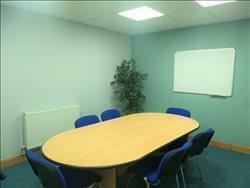 This centre provides tenants with private offices and studios that can be furnished to suit individual business needs. 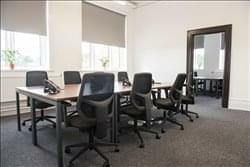 Each office has it’s own exclusive private door access with a private meeting room for ten people. The centre can be access 24/7 and has around the clock security. The centre offers high speed broadband and phone systems for a fee of £25 as well as kitchen facilities and meeting pods for members. 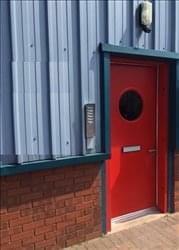 There are on-site showers and a coffee machine to make your working day more pleasant as well as on-site parking available on pay monthly or per day plans and office furniture for hire. This centre promises to be a hub for businesses mainly focused on the creative and technological industries. In this multi-occupancy building, companies and individuals can all share in the productive atmosphere of the space. From start-ups looking to set down their first roots, to established businesses looking for pastures new, this centre will provide a professional space enabling you to network with other creative companies and enhance your brand. With a shared kitchen and café space, the centre gives you options for your daily meals whilst also crafting an organic, social environment. Additional useful amenities include shower facilities and dedicated meeting rooms to host any business meetings. 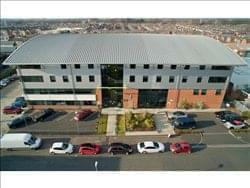 This centre, based in a prominent and highly visible building, offers professional self-contained office space. The centre boasts stylish interior and modern office suites and as such it is an exciting proposition for potential tenants of any business type or size. Each floor of the building has its own kitchen facilities and restroom facilities. The building is securely monitored with CCTV and there is a lift to all floors of the centre. For those that drive, onsite parking is available, which is unusual for such a prime city centre location. With 24-hour access, tenants can also ditch the traditional work schedule and set their own working hours.